Have some questions? Send us an e-mail! If you do not know who to contact, send us a message on our Facebook Page (link below) for instant help. Not sure where to start? Contact@animecrossroads.com – Any concerns about anything regarding the convnetion and they can point you in the right direction! Admin@animecrossroads.com – Need to get in contact with the convention con-chair? Please save this as a last resort. Panels@animecrossroads.com – Questions about running panels or the state of your panel? Email our Panels Department Head! Facebook Page: (Anime Crossroads) Your official source for news about our con! Give us a like to get updated on what’s happening. Facebook Group: (ACR Social) Your place to interact with other con goers! News will be posted here- however it is more for fan interaction. 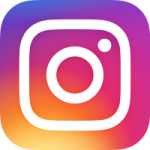 Instagram: (Anime Crossroads) News, Adventure Photos, Cosplay; you can find those sort of things here! Twitter: (ACR Social) Linked directly with our Instagram- so the same information will be here. Feel free to tag us whenever you see us!